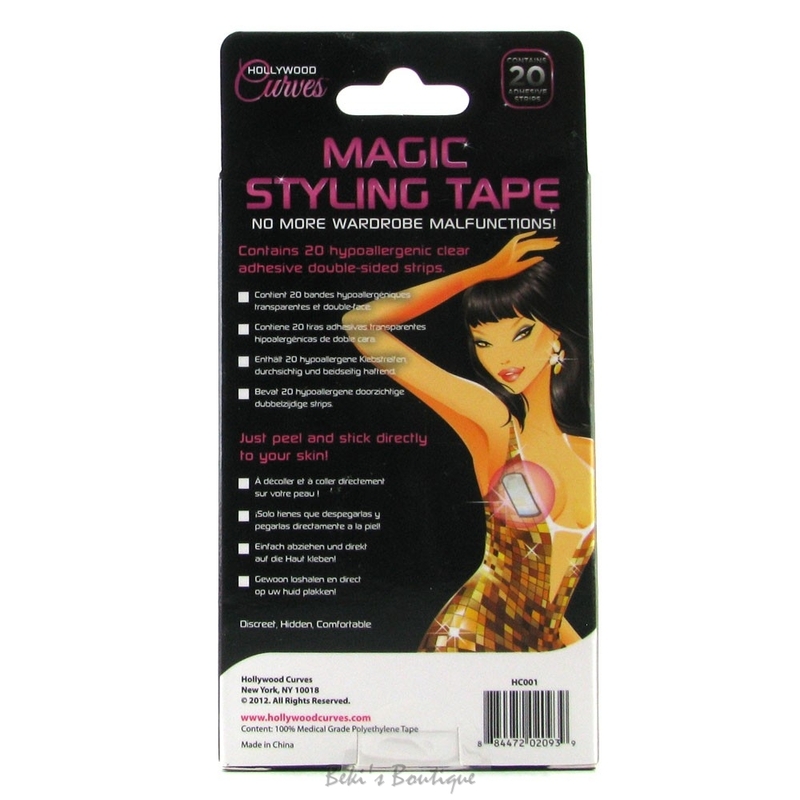 Keeping necklines, hems and even sleeves right where you want them, Hollywood Curves' Magic Styling Tape is a must-have for any dress-up occasion, but it's great for everyday wardrobe needs, too. Adhering securely to most fabrics, and gently yet equally securely to skin, the 20 pieces come in both straight and curved shapes to fit any article of clothing (10 of each). Simply peel off the protective backings and apply.